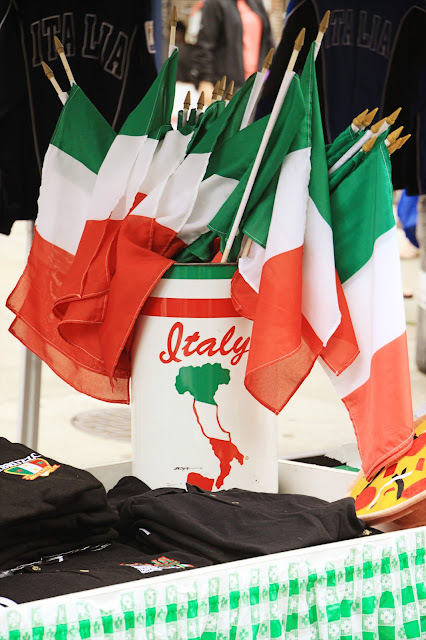 and served on a yummy Italian hoagie roll. sub rolls are not so yummy. or Apple vs PC thing. as a hamburger is to McDonald's. 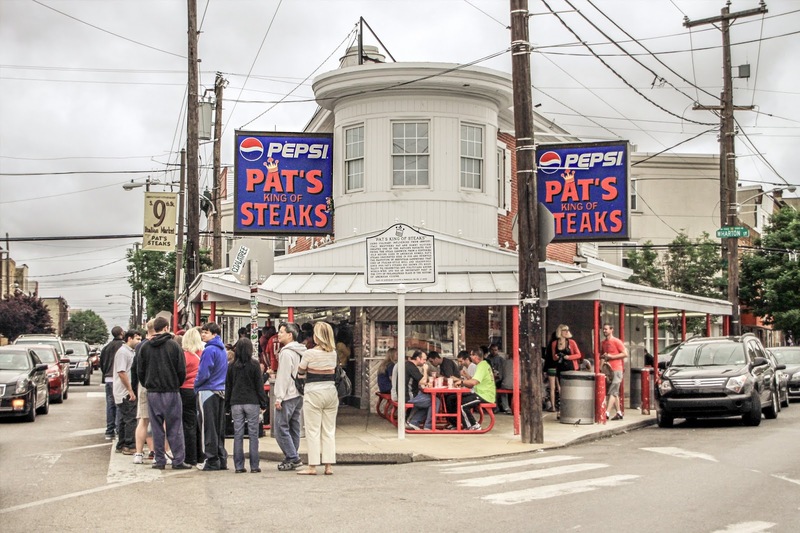 Pat's or Geno's however, is a true Philly experience. be ready to place your order concisely when you get to the window. wit (with) or wit-out (without) onions. and be prepared to pay in cash. one cheesesteak with cheese whiz and fried onions. Now you are ready for a trip to South 9th St.
Just don't forget your cholesterol medicine! Thanks for the tour of Philly and the steak :). I've never had a cheesesteak but glad to get the tips should I get to Philly. I'd hate to slow down the line-up because I didn't order properly. This post made me smile. My mouth started watering when I read the title and the hunger pains only grew as I scrolled through the post. 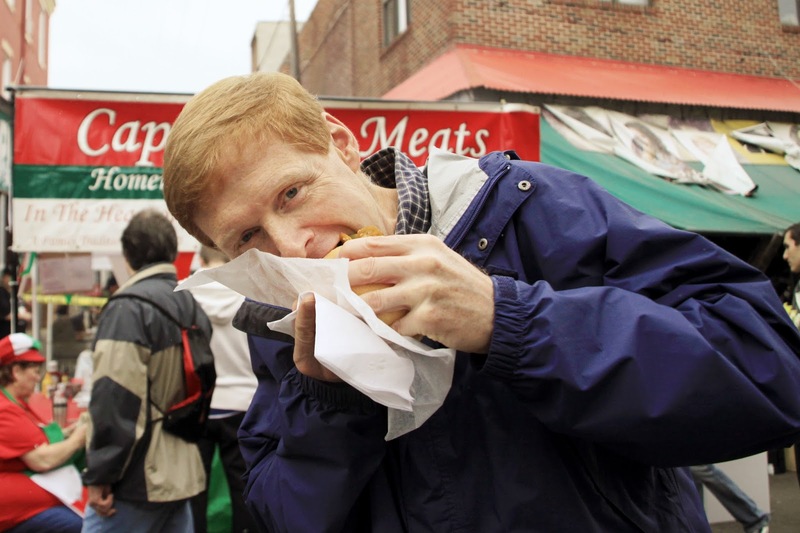 It's been a long time since we were in Philly but we loved those sandwiches! This was really really interesting! 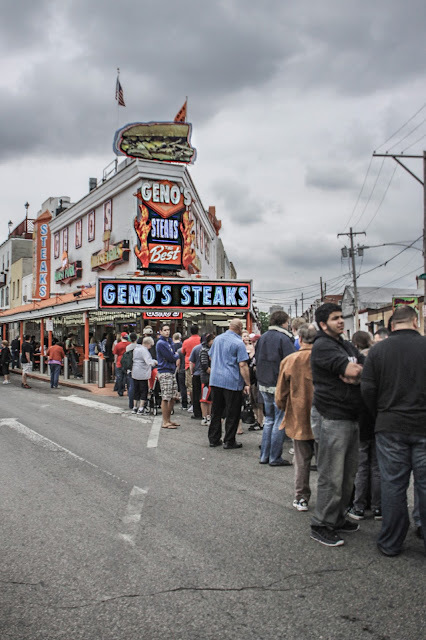 Look at that line for a cheesesteak! I'm thinking a never had anything of this sort. this is my husbands all time favorite food... we have two places here that he can tet them and they are close to what Philly has, but he says nothing beats the ones i Philly. Judging by the length of the queue those cheesesteaks must be really special. 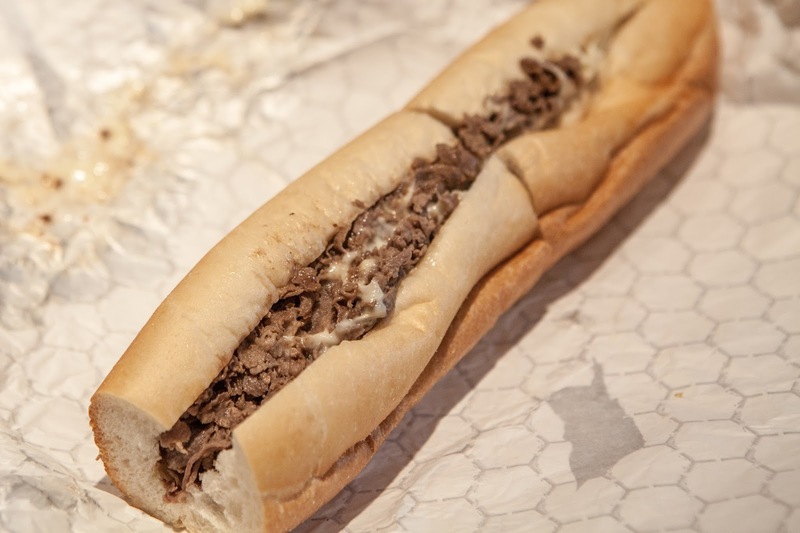 When my daughter was in Philly a few years she said the Cheesesteaks were great. I don't know where she went for it, but they were staying in the city. Thanks for these tips, especially the one about paying cash. Good thing to remember. Next time I'm in Philly, I'll just have to have a Philly Cheesesteak - I can't believe it hasn't happened yet. 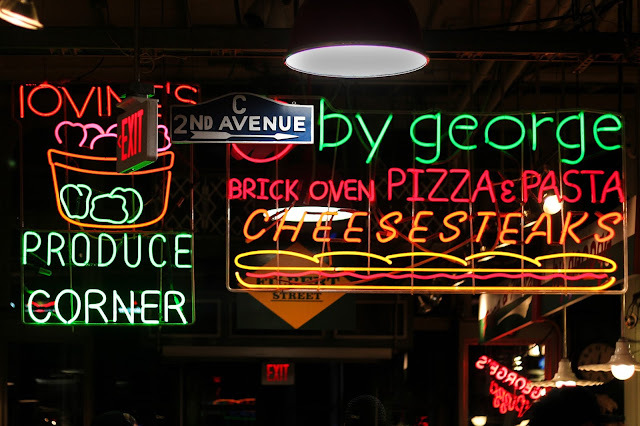 This is something I know I would like, only "wit-out", and I'd probably go with provolone too. Sounds delicious! this brought a faraway and distant memory. 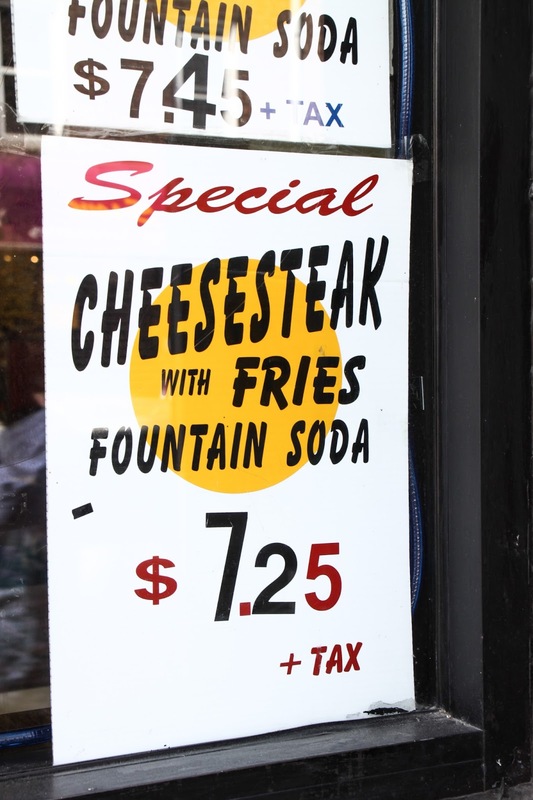 But how could it, I've never been to Philly....I thinking Chicago and your dialog brought back the memory so clearly that I have probably gained 5 lbs just remembering. got to have the cheese and the fried onion.....and Philly or no was delish.... so yours must be out of this world. Could grab one of your photos for a spotlight - but know I enjoyed my visit. 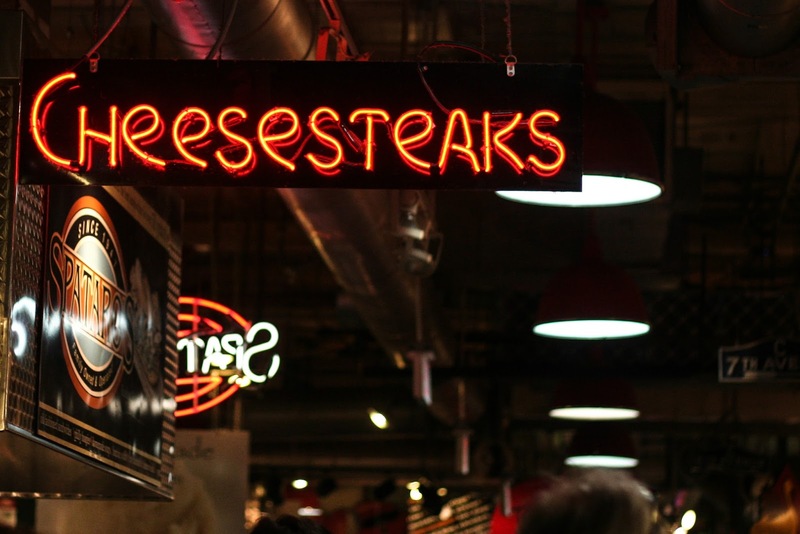 I adore cheesesteaks. I've heard of the Pat's versus Geno's rivalry, so I was quite interested to hear that you think elsewhere has better. Thanks for the tips on the slang. I totally wouldn't know what to say. I love the way you've documented the whole experience. Terrific post, Rebecca. It's important to know how to order local favourites, even more so if there's a long queue behind you when you're ordering. Those Philly Cheesesteaks must be really special if people are prepared to line up like that for them! Love the last shot - gotta get the head at the right angle to tuck in! !